“Opportunity is everywhere. Like here. Where nothing can keep you from your friends… and Saturday morning pancakes,” this is the idea behind one of the spots included in Uber’s latest ad campaign, titled “Doors Are Always Opening”. 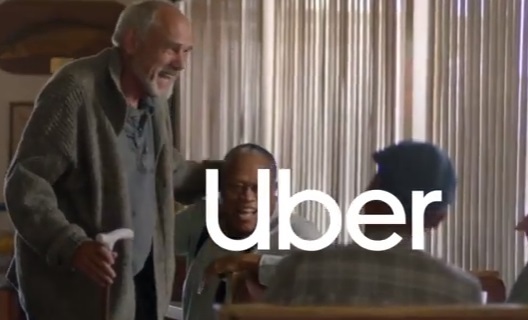 The 15-second spot features an old man taking an Uber ride on a Saturday morning to go meet his old friends at an All Day Diner. “Opportunity is everywhere. Like here. Where nothing stands between you and your best friends,” the voiceover says, while on screen the graybeard is seen celebrating the gathering with his peers. The song playing at the end of the spot, which sees the tagline “Doors Are Always Opening” flashing across the screen, is the 2018 single “Smile” by London groove band Jungle. The “Doors Are Always Opening” campaign debuted on TV with a spot from agency 72andSunny Los Angeles, that aired September 16, during NBC’s broadcast of the New York Giant-Dallas Cowboys game. Digital and out-of-home ads are also included, contributing to what was described as the biggest ad campaign in the history of the online transportation network company.